An older woman told me a story once, which at the time I felt was totally unsolicited and unnecessary but that’s story for another day. The story goes thus. In the olden days a young woman married the love of her life and was very content. Her husband was a hard worker and supported her as best as he could. She was a stay at home mum. All was well until her friend who we’ll call ‘Tojubo’ started to visit. Tojubo would tell her how lovely Mr Tojubo was and very generous. She would tell her that her allowance was so generous she always had so much to spare she would buy the latest head tie and wrapper every week hence she was always the belle of the ball at Church every Sunday. She in fact never repeats her outfits to Church. Ah she was such a lucky bride. Our young woman who we’ll call ‘Sopa’ would hear these stories and wonder how she was not so lucky. Tojubo would marvel at how Sopa could make such delicious soup with meager funds. Oh, she would be so confused she’d say, if she weren’t given the large amounts of money Mr Tojubo gives her if she had to produce quality food like these. Again Sopa would wonder how she was not so lucky. Tojubo also marveled at how Sopa was such a genius at keeping the small space they called a home tidy. She wouldn’t know how to store all her clothes and the furniture so neatly in the modest space if Mr Tojubo didn’t provide such a large house. On and on Tojubo would go with Sopa continuously feeling she was so unlucky. Needless to say, she started to complain to her husband about how little she had and then the criticism and the fights and eventual break up. She looked for Tojubo for haven in her mansion but couldn’t find her. Years later she walked by her old house and what she saw from the window drew her close. Behold there in her meager kitchen cooking what smelled like the most delicious soup was Tojubo humming happily to Sopa’s ex husband… That was when the fight started! Today there are many forms of ‘Tojubos’ causing havoc in homes. Social media is one of such ‘Tojubos’. Young women are choosing what are to be life partners and heading into marriages based on what they see on social media. They don’t realize what works for me depends on a lot of things hence may not work for you. For a marriage to be successful you need to know your product, which in this case, is your partner and what their capabilities, character, background, family, tastes, beliefs are and if you can live with those. It should never be what you think you can make them become or what others practice. I attended a birthday party the other day, the celebrant, was the owner of a top PR Company and it was her 50th. All the speeches were about how great she was but all she did was dote over her lovely husband. No wonder too because he was some caramel tiger looker. Apparently according to her cousin who invited me to the soiree, he’s a househusband!!!. Or rather a ‘stay home dad’. To her he ought to be ashamed of himself the useless man, fine for nothing… but guess what to his wife he was a jewel, her dream come true, the only one, in fact her one that God sent to her. They seemed very happy and contented to me and apparently have been so for their 11 years together as opposed to this cousin who was bitter in her marriage where her husband was a major contributor but a bloody controlling one at that. By the way, barely had we got our food and drinks and sat down when he messaged her with a text full of expletives because she left home with food he called only fit for a dog. She was a useless ‘waste of space’ according to him. Omolewa, my very good friend says growing up she hated how subservient her mother was to her dad. Her mother never worked and catered to her father’s every needs. She would cook his meals and kneel to serve her father his dishes. The thing though was she felt her mother relished that role. In fact she often quarreled with her mother on the issue but to no avail. Her father in return was always so nice to her mother’s family. He would thank them every time they visited for giving him such a good woman as though he just married her. After her mother passed on, her father never recovered and died barely a month after. After Omolewa herself got married, she noticed there were many things about the house like the utilities bills, the generator she was clueless about and to her dismay so was her husband. In fact he was not even interested in finding out. He told her she was ‘Mrs. Independent’ hence she should figure it out. She realized then that she didn’t know because her father never let them know what it took to maintain their very comfortable lifestyle. Her mother was happy in her comfort, luxury and submission and here was with the benefit of so-called independence and not happy. She would swap her lifestyle for her mum’s in a second if she got the chance. I grew up in a home where my father thought my mum was the most brilliant and exposed person he’d ever met and my dad was the ultimate Alpha male. To this end most decisions taken like the schools we attended, our holiday destinations, where we lived, what investments were made, what we wore, every decision depended on our mum. It didn’t make my dad any less of a man at all and I see how living it and talking about it would be so different. I say this because I attended a Conference about Investment clubs last year, after the pitch a man there refused to commit to a plan until he had discussed it with his wife. In fact the more they tried to convince him the more adamant he became saying he had no right to invest their money (even though she was a housewife) without having discussed it with her. You can imagine the backbiting that took place. Women turning their noses at him calling him all manner of names from ‘suegbe’ to saying he’d been jazzed, to another saying god forbid that be her brother or son.. Meanwhile according to his colleagues this guy has been happily married for 15 years. Maggie lost her father very early on in life. She and her two siblings watched their mother struggle so hard to make ends meet. Their mother too was pretty young. She later moved to the city to leave with her aunty. She had just graduated from University when she met Mr Green. She had had to work for a bit before she could start at Uni but was still young even though older than most of her course mates at 26 when she graduated and he was in his late 50s to early 60s. In fact he owned the company her aunty worked for. He made his passes and she fell big time. Her aunty threatened her and even threw her out such that she had to go back to the village. He had a wife in Ibadan and grown children her age and older. They would deal with her. She was going to throw her youth and training away just married to this man. Her friends teased her she would be a nurse rather than a wife after a while. ‘Why didn’t she just chop his money?’ He found her again and he took her gauge to her people but her aunty made them refuse it. To cut a long story short 30 years later she’s still happily and joyously married to Mr. Green with her son. What Mr Green stands for Maggie is the father she never had and he treated her so well. She also didn’t come from the comfortable background these new city friends had, so what did they know about her circumstance and her dreams? I have heard all manner and received personally all manner of advice on how a marriage should work, especially on social media, the best way I have found that leaves people happy is to maintain your own lane and what works for you. Once you shut your front door you are and should be on your own. Words of wisdom as usual… very true that no two relationships are the same, and what works in one is not necessarily the same that will work in the next. 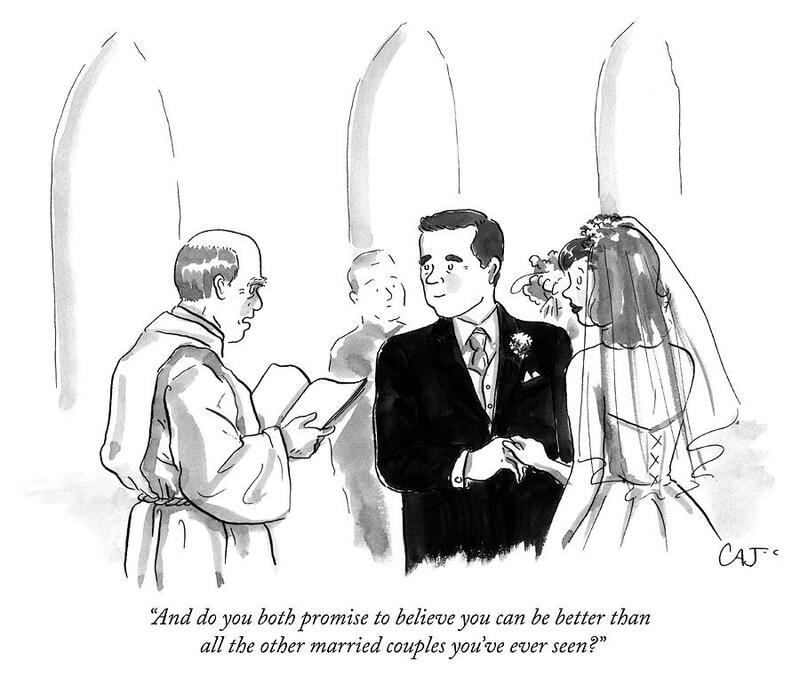 I had a chuckle reading, so true about how social media makes relationships appear all sweet and rosy. Thanks Aunty for your words.